Prof. Krzysztof Łukaszuk MD Ph.D.
Chief of INVICTA Fertility Clinics and employee of the Medical University of Gdańsk. He holds specialization degrees in gynecology and obstetrics, endocrinology, gynecological endocrinology and reproductive medicine. Certified Senior Clinical Embryologist (ESHRE). 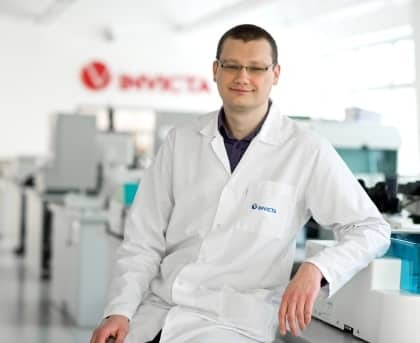 As a pioneer in Poland, together with the team of INVICTA experts, he develops the original methodology of PGD preimplantation diagnosis, which allows the couples with genetic burden to have healthy children. He is especially interested in issues related to the ovarian reserve assessment, enhanced diagnosis of male infertility, genetic diagnosis and comprehensive treatment of recurrent miscarriages. 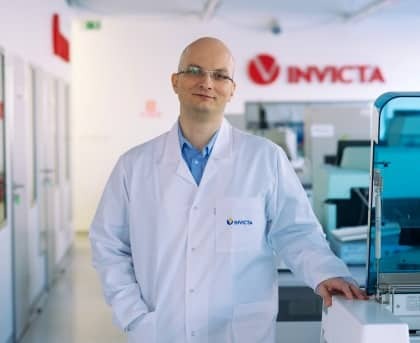 He carries out numerous scientific research, including those dedicated to the use of Next Generation Sequencing (NGS) in infertility treatment (INVICTA was the first in the world to introduce this method into the clinical practice). He fulfils the function of a Member of the Board of the Polish Society of Reproductive Medicine (PTMR) and in the Section of Fertility and Infertility of the Polish Gynecological Society (SPiN PTG). He is a member of Polish and international scientific societies (Polish Society of Andrology, Polish Society of Human Genetics, European Society of Human Reproduction and Embryology, American Society for Reproductive Medicine). Chief of the INVICTA Scientific Council and author of nearly 100 publications in international and Polish science magazines. Head of the INVICTA Medical Diagnostic Laboratories and member of the INVICTA Scientific Team. MA in biology, graduate of the Nicolaus Copernicus University in Toruń; specialist in clinical analytics, and laboratory diagnostician. She completed post-graduate studies in Marketing and Entrepreneurship. For nearly 17 years, she has been fulfilling managerial functions in medical laboratories, being also active in the scientific field. She is interested mainly in issues relating to comprehensive diagnosis of couple infertility, prenatal tests, and innovative genetic diagnosis. 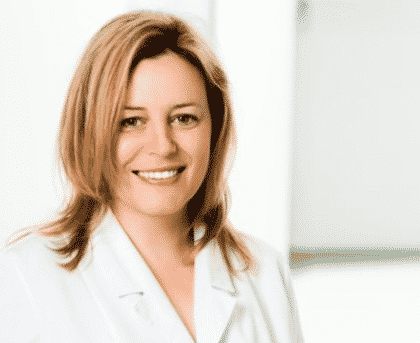 Head of In Vitro Laboratories and member of the scientific team of the INVICTA Fertility Clinics. Senior Clinical Embryologist (ESHRE), laboratory diagnostician. Co-author of scientific projects dedicated to the proprietary preimplantation diagnosis for rare diseases and effectiveness of embryological procedures in infertility treatment. As the national forerunner, she implemented, among others, the techniques of egg and ovarian tissue cryopreservation, FAMSI procedures and sperm separation. Member of the Board of the Polish Society of Reproductive Medicine. 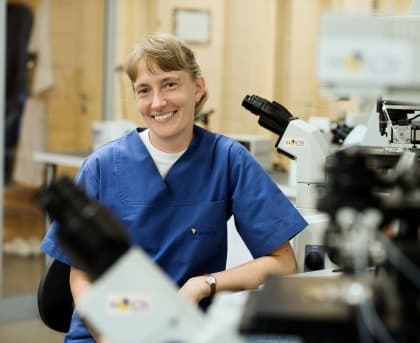 She is the member of numerous Polish and international scientific societies (Polish Society of Human Genetics, Polish Society of Laboratory Diagnostics, European Society of Human Reproduction and Embryology, American Society for Reproductive Medicine, Preimplantation Genetic Diagnosis International Society). As the world pioneer, together with his team he implements the innovative techniques of PGS/PGD preimplantation diagnosis with the use of Next Generation Sequencing. He is also interested in new methods of laboratory diagnostics, including, in particular, in the area of molecular biology, including with the use of Next Generation Sequencing (NGS). Enthusiast of new solutions and technologies in genetic diagnosis. He is the author of many publications in science magazines in Poland and abroad. Member of the European Society of Human Reproduction and Embryology, the European Society of Human Genetics, and the Polish Biochemical Society. PhD in Medical Sciences in the field of genetics, specialist in clinical genetics with over 13 years of professional experience. Graduate of the Medical University of Gdańsk. She has more than 10 years of professional experience in the area of genetic counselling in infertility. In particular, she is interested in issues relating to genetic background of infertility, recurrent miscarriages and the use of PGD preimplantation diagnosis. 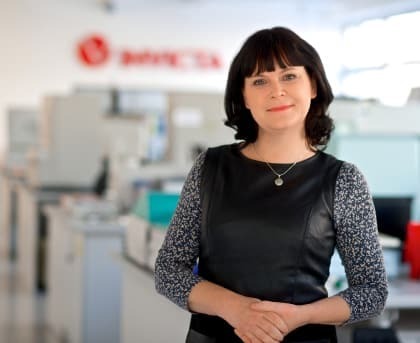 She is a member of INVICTA scientific team – she actively participates in the research projects relating to clinical genetics and development of molecular biology techniques.